Taatahi is a stunning beach house ideal for families and group getaways. Holidaying is a breeze here as it is an easy stroll to the beach which is just at the end of the road or to downtown Mt Maunganui offering plenty of restaurants, bars and shopping - it is all so close! This two level spacious home provides plenty of room for larger groups with fabulous indoor/outdoor flow accessed by the large sliding doors. The north facing deck is perfect outdoor area for an evening BBQ in the summer months. Having Netflix and Apple TV also means there's entertainment for those rainy days. The upstairs offers a large open plan dining, kitchen and spacious lounge with the master bedroom, ensuite and guest toilet as well. Downstairs has the other two bedrooms, bathroom and laundry. The large garage has been converted into a forth bedroom offering space for an additional three guests on a double under single bunk bed. There is a lift which is available for use on request. 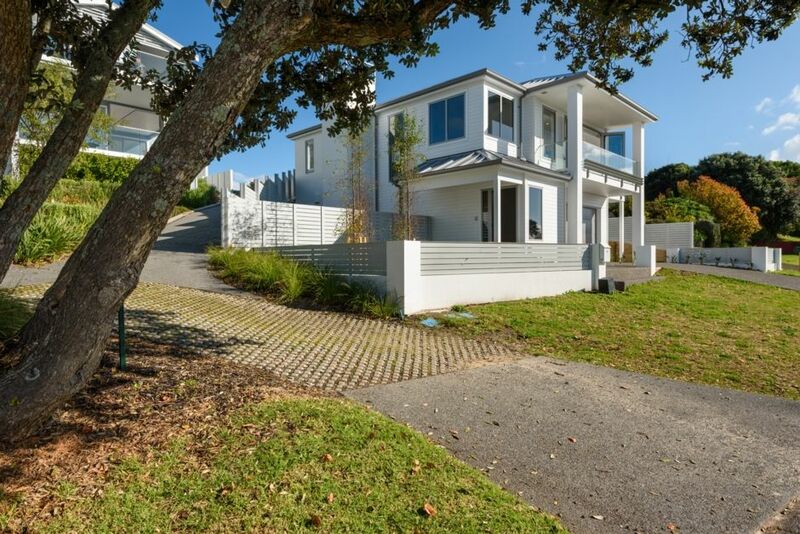 This north facing sunny modern home provides all the comforts you want when on holiday. Located on a quiet cul de sac street yet so close to all the Mount has to offer. Please advise when requesting to book if you are a family group or a group of friends and your ages please. Great downtown location and close to the beach.Two levels means separated space for larger groups. A converted garage makes up for the 4th Bedroom. Lovely house and great location. The house was great and we loved our time staying there. It is in a great location to both walk down to the beach and into town. Made for a very pleasant and relaxing week in Mount Maunganui. Excellent space, warm house, clean and modern. Great location and very close to beach and shops. Would absolutely look to rebook if visiting the area again. A wonderful new home in an excellent location. Close to everything!! We were a school netball team and we’d come back to this property again!! I would enthusiastically recommend this home!!! !